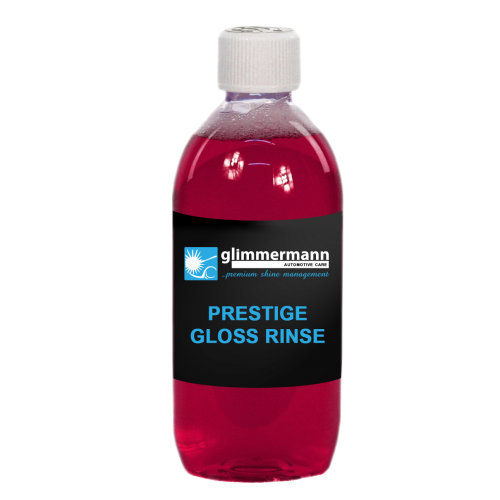 A mixture of rich gloss enhancing waxes blended together to give a Prestige Gloss Rinse. It is specifically designed to leave a high gloss finish with added water beading properties to give longer lasting paintwork protection. Maximum dilution of this product is 1 part product to 20 parts water. Normal dilution 1:10 to 1:15 to leave a high gloss finish. Simply spray/sponge onto surface, leave for 1‐2 minutes and rinse off. Chamois surface to leave a Prestige look.